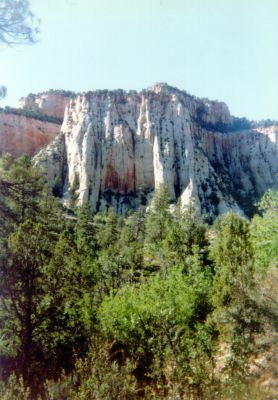 Zion National Park is located along the edge of a region known as the Colorado Plateau. The rock layers have been uplifted, tilted, and eroded, forming a feature called the Grand Staircase, a series of colorful cliffs stretching between Bryce Canyon and the Grand Canyon. The bottom layer of rock at Bryce Canyon is the top layer at Zion, and the bottom layer at Zion is the top layer at the Grand Canyon.